Lunar Mission One has management leadership and support from world leaders in science, engineering, technology and education. Our teams have been brought together to create specialist committees that will set up this project for implementation over the next decade, helping it to achieve extraordinary advances in a range of fields. Both the executive management of the project and its governance will develop and expand over time, especially as its international scope expands. The Lunar Missions Trust is a not-for-profit charitable organisation overseeing the entire Lunar Mission One project, from its space mission to its worldwide programme of educational engagement. The Trust is led by a dedicated and passionate senior team. The Lunar Missions Trust’s objectives are “the advancement of education and research in the fields of space science, engineering and technology and promotion of the applications thereof”. We want to ensure that a meaningful, substantial and inclusive global legacy is gained from the success of Lunar Mission One; a legacy of global education, public engagement in science and future space exploration. 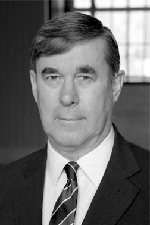 Sir Graeme Davies is an engineer and academic. He is a former Vice-Chancellor of the University of Liverpool, the University of Glasgow and the University of London. 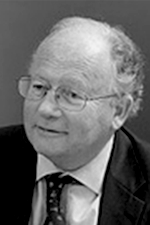 Sir Graeme taught metallurgy at the University of Auckland (1964–66), the University of Cambridge (1966-77) and the University of Sheffield (1978–86) where he was Professor of Metallurgy. He has also served as Chief Executive of the Universities Funding Council (UFC) and the Higher Education Funding Council for England (HEFCE). Sir Graeme is a Fellow of the Royal Academy of Engineering, a Fellow of the Royal Society of Edinburgh and an Honorary Fellow of the Royal Society of New Zealand. Ian Taylor MBE was a UK Conservative Party Member of Parliament from 1987 to 2010, and was Minister for Science, Technology & Space at the Department for Trade and Industry (1994-97). In 2008, he gained the Arthur C. Clarke Award for Individual Achievement in Promoting Space and Science. He was chair of the Parliamentary and Scientific Committee for three years, co-chair of the Parliamentary Space Committee and in 2009 he chaired the European Inter-Parliamentary Space Conference. He has also been an advisor to the European Space Agency’s Integrated Applications programme. 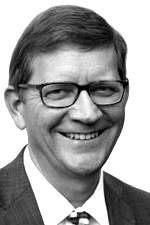 He is currently Chairman of the Steering Group of the National Space Academy, sits on the UK Science & Technologies Facilities Council, and chairs a number of commercial companies. Pieter Knook is a senior businessman and corporate investment advisor in the IT and internet sectors, who spent 18 years with Microsoft, including as President of its Asia Region and as SVP of its Mobile Communications Business. He joined the senior executive team of Vodafone as its Director of Internet Services. He is now non-executive Chairman, Director or Board Advisor for several companies, from smaller high techs such as Monitise and Pulsant to the larger TDC in the Nordics. He is on the advisory board of the Bill & Melinda Gates Foundation, and is a Visiting Professor in Innovation at Cambridge University’s Engineering Department. Professor Monica Grady CBE is a leading space scientist, best known for her international reputation in meteorites and as a leading authority on the Rosetta mission to the asteroid 67P/Churyumov–Gerasimenko. She has published many papers on the carbon and nitrogen isotope geochemistry of primitive meteorites, and on interstellar components of space rocks. She is currently Professor of Planetary and Space Science at the Open University and a scientific associate of the Natural History Museum. She chairs the Science Board Solar System Advisory Committee of the UK Government’s Science & Technologies Facilities Council. 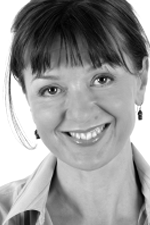 Angela Lamont is a science producer, presenter, broadcaster and writer with over 20 years’ experience. With a first class degree in IT, Angela originally worked as a systems analyst and IT manager for several companies, including IBM, before being chosen to present the prestigious Faraday Lectures in 1992. She then went on to work at BBC Television for eight years, whilst also broadcasting on Radio 4, Radio 5 Live and The World Service. With over 200 broadcast programmes under her belt, she now produces short form video, recently making films on nuclear fusion, science policy, Liveable Cities and nanotechnology. 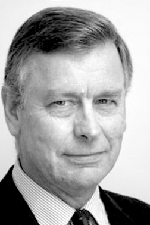 David Iron is a former Royal Navy Engineering Officer and advisor to national investment institutions. As a specialist in public-private partnerships, he has advised on the financing of around 150 high technology projects, particularly in the space sector. He originated the commercial and financial structure for the UK’s pioneering £2.5Bn Skynet 5 military satellite communications service, and was the lead PPP adviser to the European Commission for its €8Bn Galileo satellite navigation programme. Since 2007 he has worked on the commercialisation and financing of international space exploration, from science to manned spaceflight. During this time he originated the Lunar Mission One concept and has led the project ever since. He is the Founder of the Lunar Missions Trust. 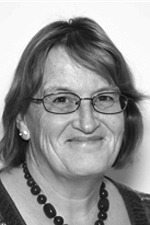 The Trust is advised by Anne-Marie Piper of Farrer & Co. The Lunar Missions Trust is registered at Companies House, as a private (non-profit) company limited by guarantee; registered number 8661432 and address at Wreights House, The Mall, Faversham, Kent, ME13 8JL, United Kingdom. The International Advisory Board has been established to advise informally on the project’s international expansion in all areas of activity. Daniel M Tani – Dan is a US engineer and former NASA astronaut who conducted the 100th spacewalk on the International Space Station. Mazlan Othman – Mazlan is a Malaysian astrophysicist and the former Director of the United Nations Office for Outer Space Affairs. Gui Trotti – Gui was the first NASA architect working on lunar bases, Mars vehicles and the Space Station, and an advisor to the US National Academy on NASA technology. Bob Brumley – Bob is CEO of Laser Light Communications LLC and a specialist in satellite optical telecoms technology. Heather Drake – Heather is a senior Silicon Valley specialist in executive communications and PR with experience at Hitachi, eBay, Cisco, Philips and Motorola. Gregory Chamitoff – Greg is a US engineer and former NASA astronaut who served on a long duration mission on the ISS and is a Professor in Aerospace Engineering. Lunar Mission One is assembling a sponsoring management consortium to set up the main project. A number of teams have been formed to assist the planning of the project’s detail, covering its space mission, its science, its education and its sales and marketing. Initially based in the UK, all teams are expanding to include international partners. - Discussing with industry the nature and scope of international industrial participation. - Planning the main space mission procurement. - Planning key technology development. - Supporting the public engagement. - Planning the detailed science requirements as part of the international Global Exploration Strategy. - Planning the spacecraft payload definition. - Selecting the landing site. - Planning the archive technology, both digital and biological. - Planning the global educational programme. - Preparing early educational ideas and content. - Inviting participation by the educational interests of professional institutions. - Inviting pilot schools from around the World to test educational ideas, covering different cultures, ages, abilities and subjects. - Fulfilling the Kickstarter rewards. - Providing PR and social media advice and support to the project. - Creating an online collaboration platform to expand public engagement. - Preparing for the launch of the next step, the project’s Setup Stage. - Establishing a network of local LM1 enthusiasts. - Formulating the local organisational structure. - Acting as the link between the international LM1 project and each local national community. Jennifer Wincher is a business and organization consultant with 20 years media relations and project management experience. She was associate management consultant and technical integrator to Control Point Corporation -- a United States Department of Defense engineering company, now known as Ricardo Control Point -- where she helped manage the customer solutions business area in operations, media, and marketing. She also worked with Global Space Organization as a media relations officer and is currently working to develop educational programs and media demonstrations in the fields of aerospace and technology with her company Empty Space L.L.C.. She graduated from Specs Howard School of Media Arts in Southfield, Michigan. Milton Villarroel is a linguist and a space enthusiast. He has been involved in Teaching English as a Second and Foreign Language since obtaining his TEFL degree from Saint Michael’s College, Vermont, United States of America. He has recently been awarded a Teaching Excellence and Achievement award at the California State University at Chico, California for his work in secondary education. He is an official Speaking Examiner and Trainer for the University of Cambridge Main Suite examinations. Furthermore, he has been a Permanent and Official Translator for the Consulate of the United States of America. His first science project was on exobiology, a science unheard of in Bolivia in the 1980’s. The project was awarded first place in local and national science fairs. For the last 10 years, he has taught science in high school using space as the context to teach physics, chemistry, and biology. As a linguist, he introduces his students to interstellar communication and the possibility of finding intelligent life in the cosmos. Paul is a Systems Engineer, working in the design and construction of control systems hardware and software for trusted applications. His skills were honed, initially, through an apprenticeship and a number of contract assignments in a wide range of industrial sectors. He maintains an interest in a wide range of science and technology topics. These include ecologogy, environment, nuclear energy, recycling and waste reduction, and the educational promotion of all the important STEM areas. He is also a STEM Ambassador to schools and colleges throughout all age ranges and regularly presents talks on behalf of Lunar Mission One to various audiences. Mohammed researches Space Weather at the Institute of Space Research and Aerospace Department of Astronomy and Astrophysics. He graduated from Omdurman Islamic University, Faculty of Science and Technology department of Astronomy and Meteorology. His skills were honed, initially, through an apprenticeship and a number of contract assignments in a wide range of organized outreaches and sectors. He is interested in Astronomy and Space science topics. These include Astronomy, the space near Earth's environment, programing and data reduction, and the educational promotion of all the important Science areas. He has published various papers in the impact of Space on Technology. He is also an Ambassador to schools and colleges throughout all age ranges and regularly presents talks on behalf of Lunar Mission One to various audiences. Sourav Karmakar is an Electronics & Communication Engineer from India. Presently he is the Founder & Head of INFINOS TECH LLP,India which is also a partner of Lunar Mission One. It’s based on the product & service about Renewable Energy, Education, Electronics and its applications for aerospace. He worked in Aerospace Industry as Executive Engineer in India. He also taught in Architectural institute in India. He is a TEDx Speaker and also delivered technical sessions on Nanotechnology & Aerospace in various Engineering Institutes of India. He has published various papers about Quantum Dot Circuit & Aerospace. He has a Patent Application about Efficient Quantum Dot Circuit. He has also published articles on aerospace and others in USA, Brazil & Russia. He is the Co-author of two Novels in USA. He is an artist and poet as well. Aqeel is a space advocate and aerospace engineer from Malaysia. He believes that one day we will live on the Moon. Currently he is pursuing his PhD in Space Engineering at Cranfield University, UK. He is developing a bio-CubeSat, miniaturised space laboratory, named BAMMsat to allow low-cost BAMM experiment in space. BAMM represents for Biology, Astrobiology, Material and Medicine. He co-founded Malaysia Space Initiative (MiSI) with other space advocates following their passion in space. MiSI is a non-profit NGO with the aim of promoting space in Malaysia in collaboration with the Malaysian government, industry and academia to advance the space industry. Since it was founded in 2017, MiSI has organised pioneering space events named Space Entrepreneurship Symposium to promote space entrepreneurship and will be launching MiSI Roundtable, an unconference event to promote discussion and collaboration on space agenda. By teaming up with some of the leading institutions in technology, science and culture across the world, Lunar Mission One will be able to fulfil the ambitions of this amazing project. We are extremely excited at the prospect of working with such impressive organisations, and for the advances we know we can achieve over the coming years. Virtually all these institutions are looking to participate in our pilot education programme.